All CERTUSS Steam Generators are type tested according to European Pressure Equipment Guideline DGRL 97/23/EG. CERTUSS also offer their CVE Package Plant Module. Fuel types offered are Gas, Light Oil, LPG and Bio Fuel, with combination burners offered on all units from 500kg/hr upwards. Also available are a range of Electrical Steam Generators from 6kW to 120kW. 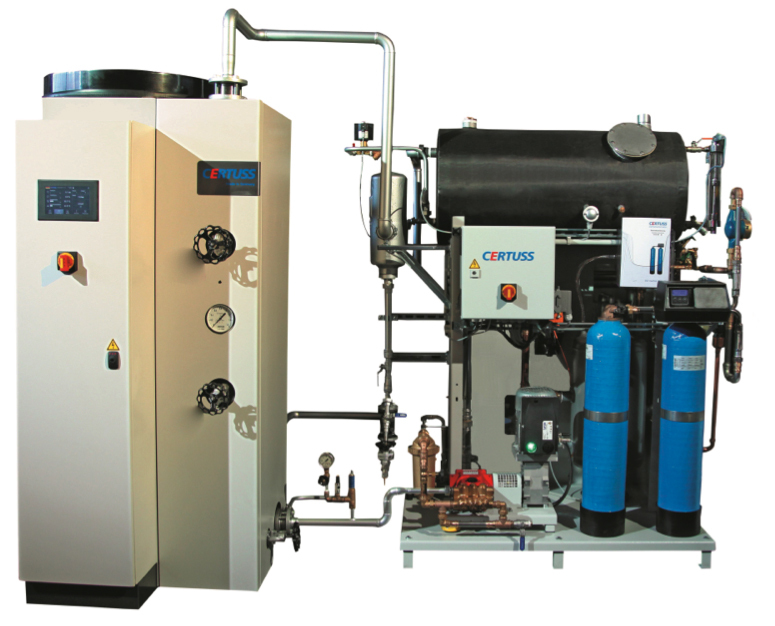 CERTUSS also offer a new “TC Model” with touch screen control and full modulation from 50-100% firing. The TC offers output ranges from 500-2000kg/hr. TC Model Generator and Package Plant shown below.